Are you a vocalist that wants to record his or her own vocals at home but you’re not sure what you need to get started, how to get started, or how to get professional studio quality recordings at home? Or, maybe you have some experience recording at home but you just haven’t gotten the results you’re looking for (ex. too much reverb in your recording, too much room noise, or straight up just poor sounding recordings). If any of those sound like you, then this course is just what you’re looking for. 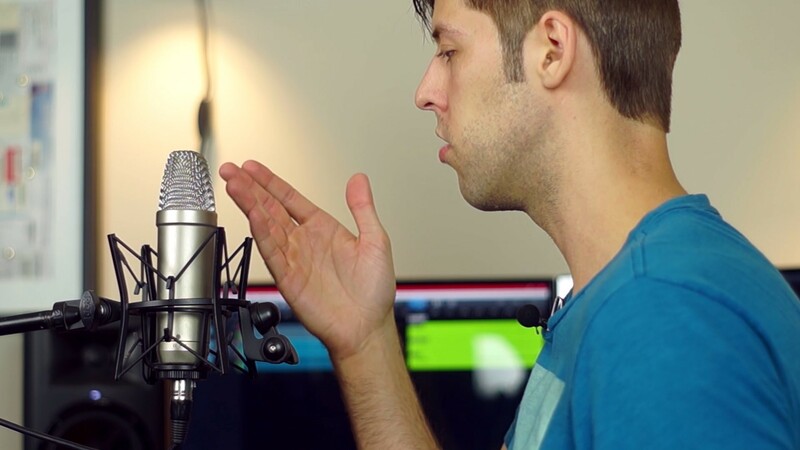 In this course, I outline a step-by-step approach to recording vocals at home and how to get great sounding results. 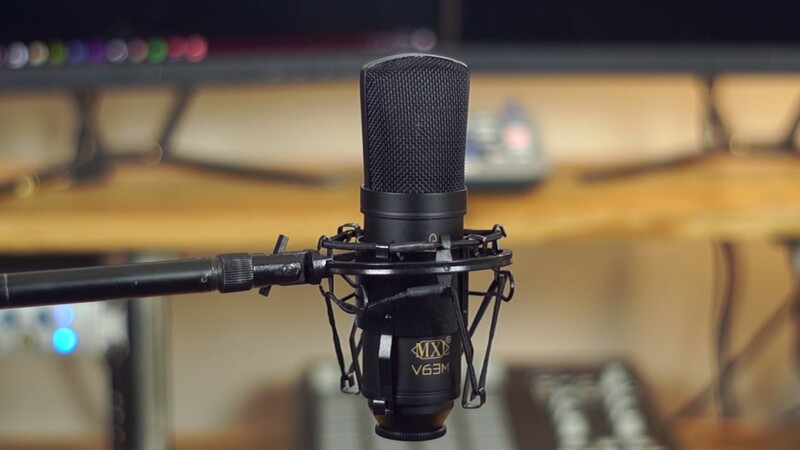 I cover the entire process, from start to finish, so that even if you know little to nothing about recording, after completing this course, you’ll be able to record professional sounding vocals tracks at home (in your bedroom, your basement, wherever). 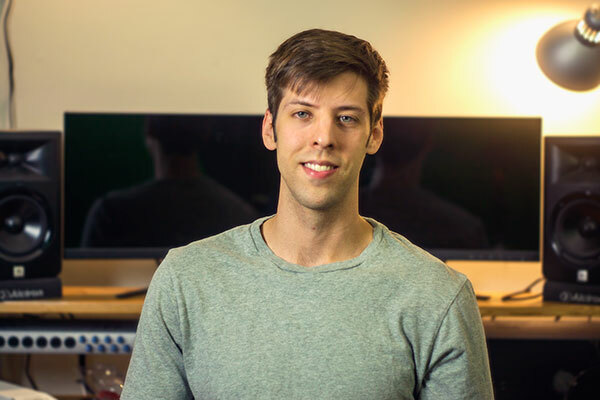 Unlike sites like YouTube, or just browsing the results in Google, this course gives you everything you need to know to get started recording at home. I’ll cover everything from what gear you need (and even list budget recommendations that still yield great results), cover recording techniques, talk about how to deal with too much reverb in your recordings, and show you how to actually record on your computer using Studio One (which is, in my opinion, one of the best and easiest to use recording programs). On top of that, if there was something I missed, something you wish I went into further detail, or something that you wish I had covered but didn’t, you’ll be able to get in touch with me one-on-one to ask me any questions you have and get help with any trouble you might be having. You’ll even be able to suggest some content for future updates to the course (which you’ll have access to forever after purchasing the course one time). First up, I’ll cover exactly what gear you need in order to record quality vocal tracks at home. And no, it won’t be thousand of dollars in equipment, I suggest budget-minded gear that you can use to get great results. Next up, I cover how to position your microphone to capture a natural representation of your voice and allow you to remain in a comfortable position during recording. I also cover where to position yourself when recording and the ideal distance to stand away from the microphone. 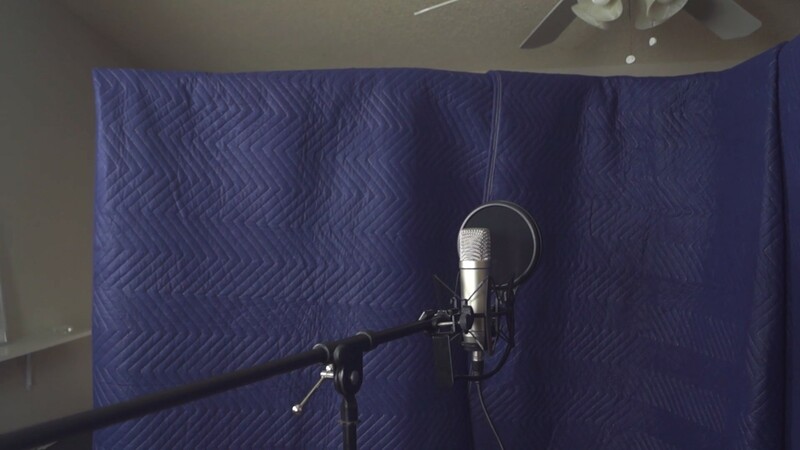 From there, I’ll talk about where to record in your room to avoid audio reflections from being captured in your recording and how to deal with poor room acoustics (to get a dry vocal) using cost-effective, DIY methods. 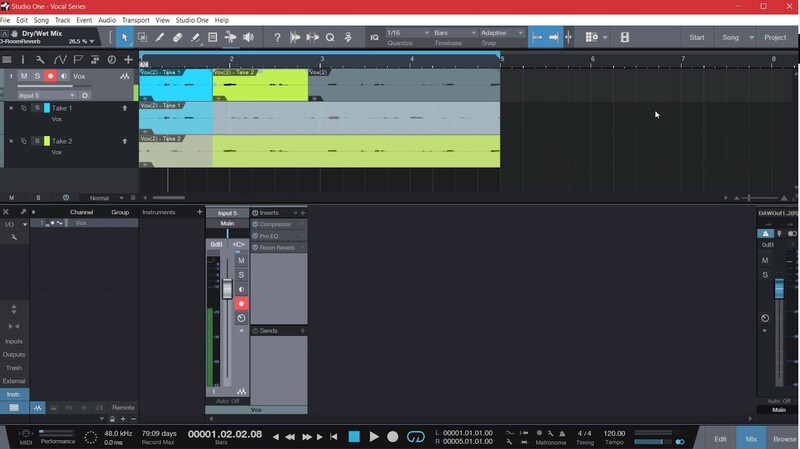 Moving on, I’ll show you how to record your vocals to your computer using a DAW, or in other words, a recording program. In addition to showing you how to record your vocals in Studio One, I’ll also show you how to comp your vocals. Comping is the process of slicing and editing multiple recording takes to create one perfect take. I’ll show you how you can record your vocals multiple times and pick apart the best performance from each section to create a perfect vocal recording. 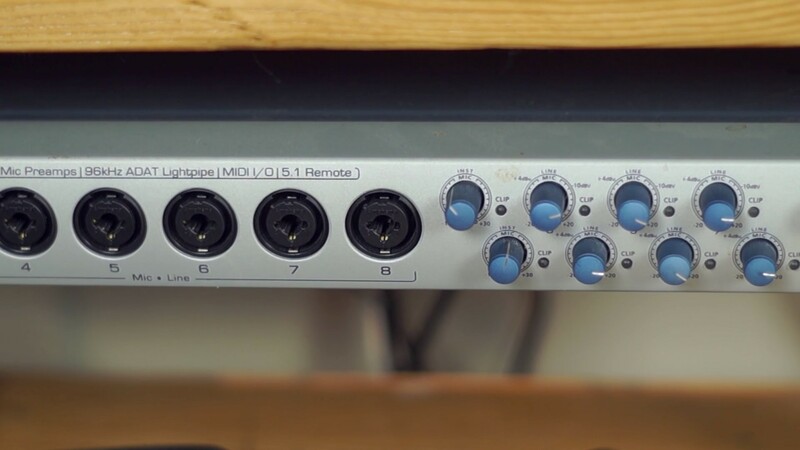 If you need any help setting up your audio interface, I’ll even show you how to set it up on your computer and in Studio One. Lastly, I’ll cover how you can use Studio One remotely so you don’t need to worry about running to your microphone when you hit record. The course is broken down into 8 modules, each with its own respective video where I walk you through each step of the recording process. In total, the course is about an hour and 20 minutes long in total. There’s a lot of info out there on recording vocals. But, it’s scattered and there is a lot of miscorrect information, especially for many of us recording in a poor sounding home environment. In this course, you get a complete step-by-step approach to recording great sounding vocals, start to finish. As a purchaser of this course, you will never lose access to the course material. You will always be able to come back and review any videos/topics as needed. On top of that, any material I add to the course in the future will be free of charge. You pay one time and you’ll have access forever. Upon purchasing the course, you will have access to all 8 modules right away. So you can control how you’d like to move through the course and at a pace that is comfortable for you. At the end of the course, I will ask for your feedback and suggestions to improve the course. Thus, giving you the ability to contribute to future iterations of the course and control future content. Lastly, as a student, you’ll have priority when it comes to asking me questions regarding any trouble you are having or really anything you need help with. You’ll be able to contact me directly or use the included form to easily get in touch. This is a one-time payment for lifetime access to this course only & future updates. What equipment and software will you use for the course? All of the vocal recording techniques I teach in the course are universal and can be applied to your process no matter what specific recording equipment you end up going with. That being said, you will need a few things to get started (like a microphone, audio interface, headphones, etc.) and I will be covering what to get there as well as make budget recommendations. 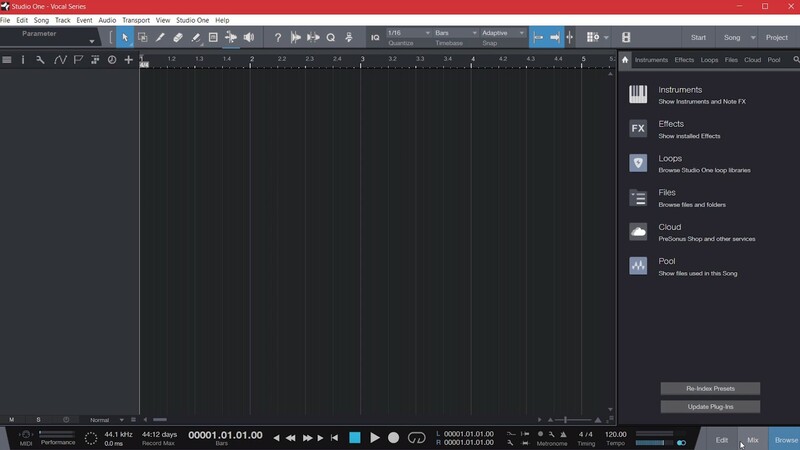 As far as software, I will be using Presonus’ Studio One as the DAW (recording program) that I show you how to record onto your computer with. But, you can choose any DAW that you prefer should you not like Studio One. 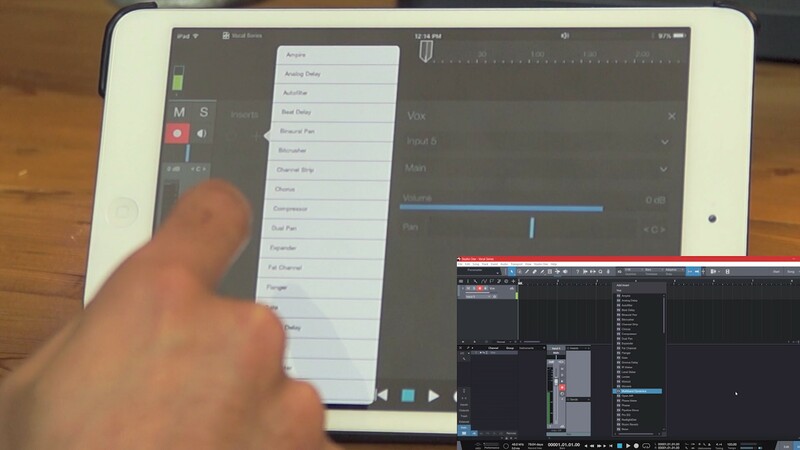 I chose Studio One for a few reasons including its ease of use and the fact that there’s a free version. So anyone can get started using it. If you are not completely satisfied with the course, and you contact me to let me know within 30 days, I will refund your payment 100%. I don’t think that will be the case, but rest assured that if you’re not happy with course, you can get your money back. Do I have the right gear I need to record vocals? In the first module of the course, I will cover each piece of equipment you need to get started recording vocals at home. I’ll even cover budget recommendations that still yield great results so you can purchase the gear you need at more affordable prices. What if I don’t have the time to complete the course? Once you purchase the course, you will have access to the current course content (and any future updates) for life. In addition, you can access any module in the course at any time. So you can skip around as you please (although, I’d recommend following the order the first time through) and you can always come back to the content at a later date. You will have immediate access upon purchasing the course. You will be asked to create a username and password at checkout so you can return to the course material at any time. Payment for the course can be made via credit card or through Paypal. I want you to be completely satisfied with this course and feel that you’ve learned a lot after working your way through each video. That’s why at the end, I’ll ask you how you’ve enjoyed the series, if there was anything you didn’t understand or had trouble with, or if there was something I missed that you wished I had covered. So you will be able to get in touch with me with any help you need. Even after all that if you are not fully satisfied and you don’t feel like you’ve gotten value from this course, I offer a 30-day, full money back guarantee. At that point, simply get in touch with me to let me know that you are unhappy and I’ll refund your money. The only thing that I’ll ask is to let me know why you didn’t enjoy the course or find it useful so that I can improve it for future students. That’s it. With that said, I believe the course is more than worth the price and that you are going to learn a lot of helpful information to get you started on recording awesome vocals at home.